This adapter allows you to connect microphones with an 8 pin round metal connector to Icom transceivers fitted with a rectangular 8 pin modular (RJ45) socket. 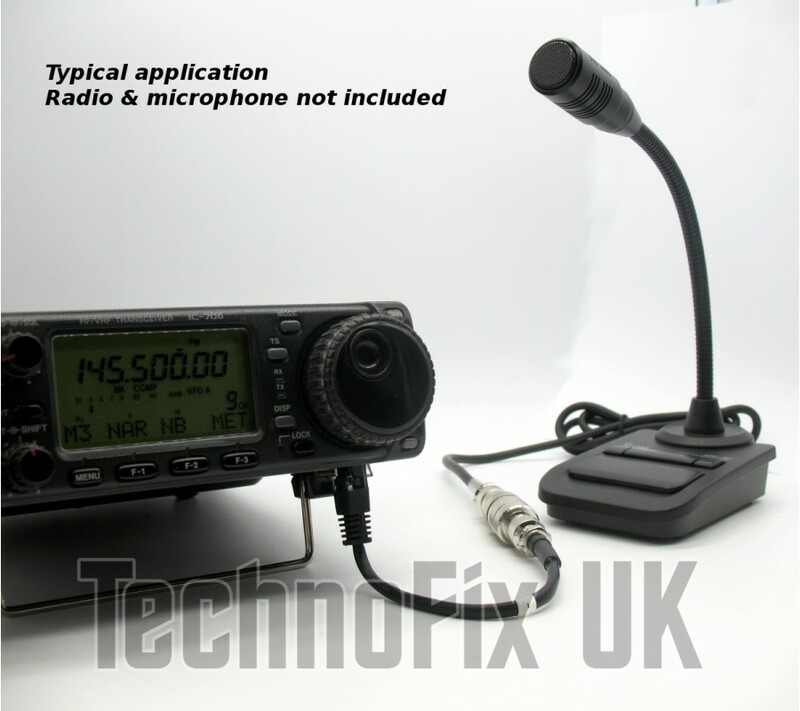 For example, you can use your Icom HF mobile rig in the shack with your favourite desk microphone. 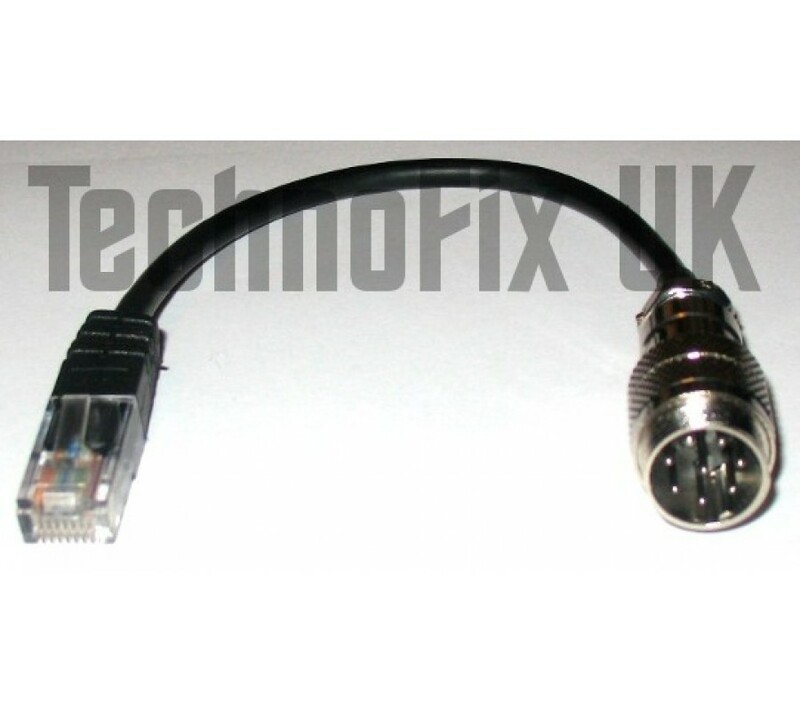 Equivalent to an Icom OPC-589 adapter. The microphone used needs to be wired for Icom.